High quality, soft-to-touch bonded leather for lavish comfort. Contoured, polished alloy arms and tension adjustable tilt mechanism. Anti-shock back adjustment and reclining mechanism. Supports users up to 150 kilograms. 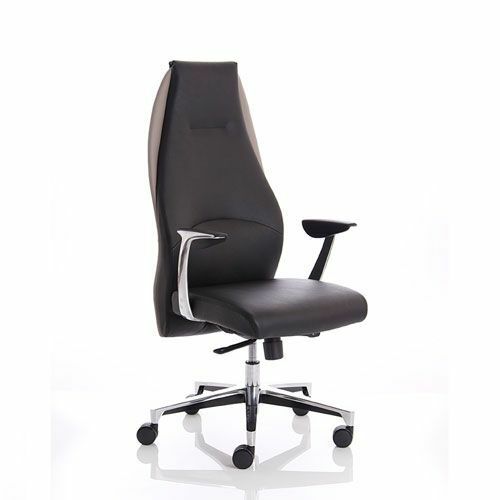 Plush high back executive leather office chair with skilled stitching detail and soft leather finish.